During my remarks, I made a statement that prompted some interesting discussion at the reception that followed the awards dinner. I said that people we typically describe as “outstanding” don’t do what they do for the sake of being called outstanding. Several people challenged this assertion. They stated that no one reaches the level of excellence worthy of the label “outstanding” without committing to be outstanding. For me this is a “chicken and egg debate.” Which comes first? Do outstanding performers decide they will be outstanding and then commit themselves to a worthy endeavor, or do they find something so important that they couldn’t imagine doing it in a way other than outstanding? 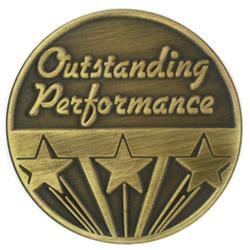 I believe that those people who earn the distinction of being called “outstanding” possess some combination of both. I am inclined to believe that they start with something worth doing. This then unleashes an innate desire to achieve outstanding results. However, several people I spoke with that Saturday evening believed the desire to be outstanding can reveal opportunities to fulfill that desire. What do you think? What comes first – the desire to be outstanding or to do something worth doing? Share your thoughts with the If You Will Lead Community.